There are events and opportunities that demand attention in the moment they occur. One of those is processing and preserving fresh garden produce. It doesn’t matter whether there are a multitude of other worthy distractions, the fruit won’t wait. 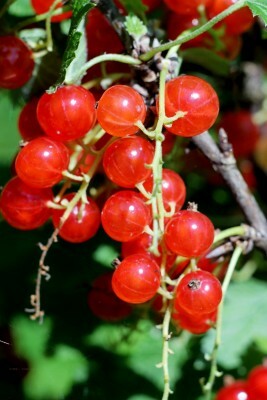 So in spite of our current heat wave, I’ve been at the stove, processing the bounty of redcurrant we’ve had this year. Masses of the fat red berries, all from a single bush. Redcurrant chutney with rosemary. Redcurrant jam with peaches from the neighbor’s place. Redcurrant sorbet, which is a tart complement to the prosecco sorbet we made last week. 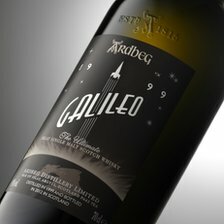 Another opportunity which required immediate action was the discovery of a small supply of Ardbeg’s limited edition Galileo whisky at a Geneva wine shop. All the more shocking, it was reasonably priced, well under the online offers I’ve seen. Since that almost never happens in Geneva, I took it as a sign that I shouldn’t hesitate. The Galileo bottling, which won the title of World’s Best Single Malt at the 2013 World Whiskies Awards, must be the only whisky created in honor of a whisky experiment on the International Space Station. More on that here. swelter of a summer. A peaty, maritime nose with a hint of fruity sweetness; a smoked fish taste, a sharp palate opener that made me feel I’d just bitten off a corner of the Atlantic Ocean, then brown sugar, spice, turpentine, and a round sherry sweetness from those Marsala casks in which the whisky was kept for part of its ageing. An abrupt and clean finish, a window opened wide and then crisply shut. All I can say is, I’m so glad I seized the moment. I’d like that recipe for redcurrant chutney, Paula! I’ve had an abundance of them on my allotment. Raspberry and redcurrant jam turned out pretty well. This morning’s effort was a single jar of blackcurrant, redcurrant and apple jam. It smells good – we shall see how it tastes! My pleasure, Paul. It’s really quite good, and unexpected. I did, however, add pectin, because it was far too runny for my taste from this recipe, and I cut down on the vinegar a bit. We have a massive rosemary bush, and I was generous with that. Remove stalks from redcurrants and place in a heavy bottomed pan with the sugar and vinegar. Place on a medium heat and warm through. Add the chopped onion, red pepper, garlic, ginger, cayenne pepper and the rosemary. Stir all together. Bring to the boil then boil on a medium heat for 30 minutes. The chutney may appear runny but will thicken/set when cooled. Pour the chutney into warmed jars and leave to cool. Your single-jar effort sounds like a lot of work – but delicious. Hope it’s well-appreciated!